One part of routine maintenance is cleaning the exterior of the logs. Dirt, mold, or mildew on logs can lead to problems. Clean logs are healthy logs. This is an important task that should be done periodically. Does it get grass clippings from mowing the lawn on all over them? Does water splash back onto the logs when it rains? Are there birds nesting in the eves and leaving behind bird droppings? The cleaned logs readily accepted the new stain and gave the wood character again. Most of the grey color in the wood was removed by cleaning the logs using OxiClean a non-chlorine cleaner. 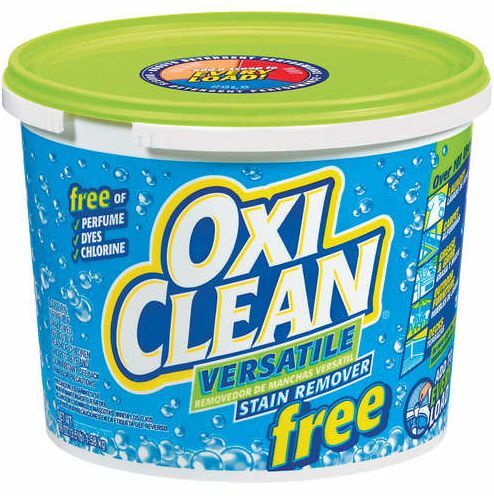 Note: Chlorine-based cleaners can cause problems with the stain that is applied afterwards. Avoid chlorine use on your logs! 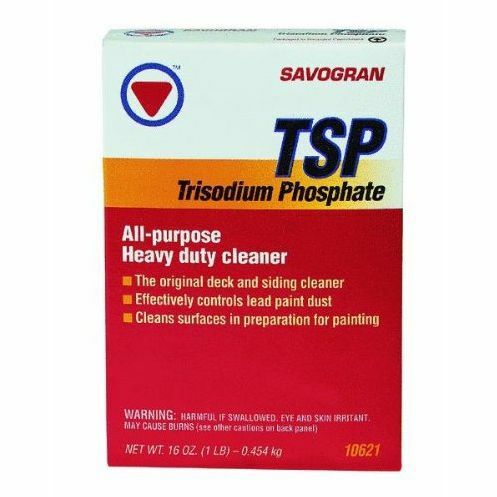 TSP is a good general cleaner. Follow the manufacturer’s instructions. 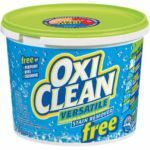 Oxi-clean can be used to remove stubborn, grayed-out wood surfaces. Again, follow the manufacturer’s instructions. 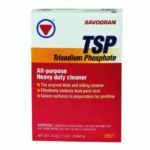 We generally clean logs with a solution using TSP or simply compressed air. It’s a wise idea to clean the logs to remove as much of the residue mentioned above. Clean logs breath better, therefore they dry out more readily. Cleaning them can help remove spores that can cause mold or mildew to develop. Most importantly, it is necessary to clean them in preparation for applying another coat of finish or stain. This process maximizes the stain’s ability to penetrate and adhere to the wood itself. 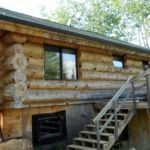 If after cleaning the logs they still look too dark or faded, or if the surface still has loose, flaking finish on it, it may be time to consider sandblasting or cob blasting off the old finish and starting over with fresh wood. 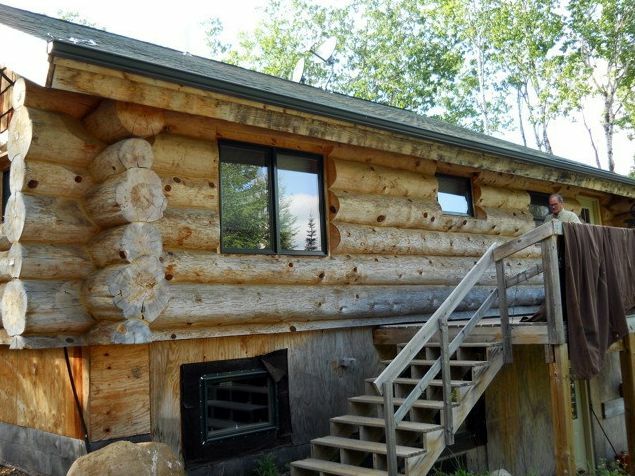 Click here to learn more about blasting log homes. 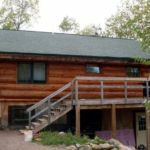 Not sure what your log home needs? Don’t have the time to do this yourself? Contact Edmunds & Company at 715-373-5744 or email info@restorelogs.com. 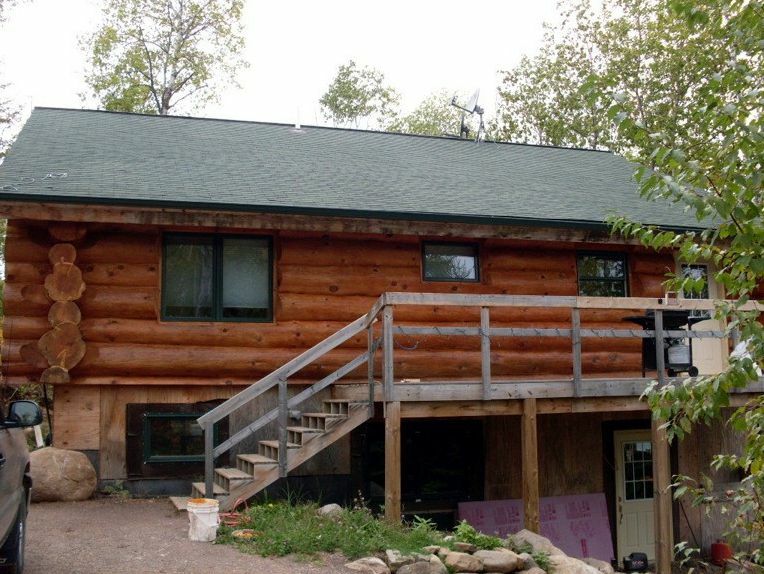 Let us help you maintain the beauty of your log home.